The buildings along the west side of the 200 block of North Church St. are a very-well preserved block of early 20th century structures. 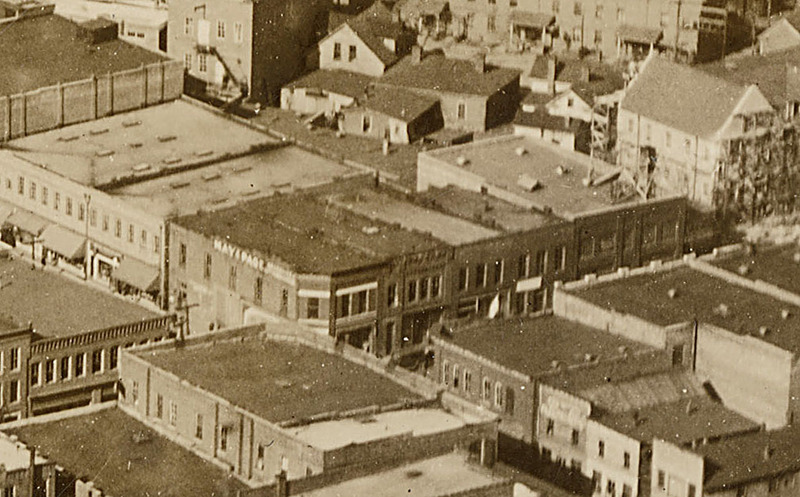 The Hicks building, on the northwest corner of North Church and East Parrish, and its immediate 3 neighbors to the north were constructed around 1910. 209-211 North Church, at the northern end of the row, was constructed somewhat later, likely during the early 1920s. 203, with beautifuly corbelled brick, housed Piedmont Furniture during the early 20th century, before Piedmont moved to Morgan Street. 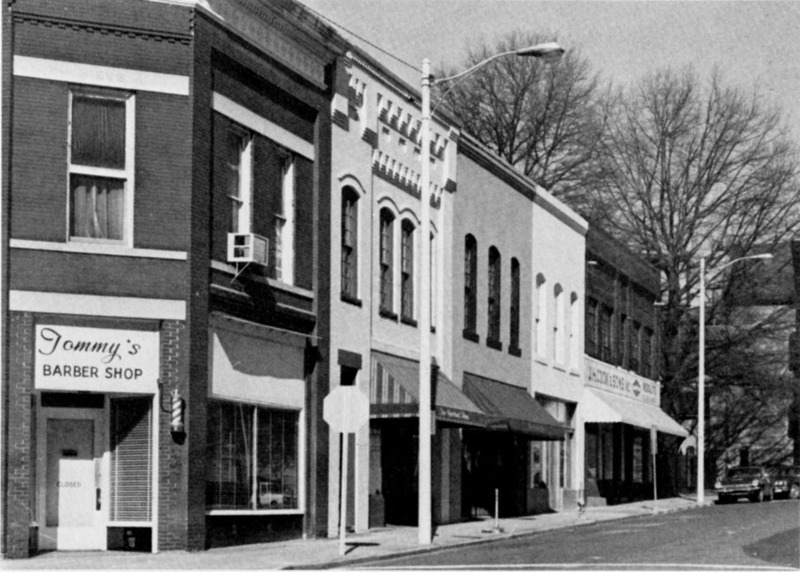 By the 1950s, it housed an "awning manufacturer"
Only a very small portion of 203 N Church is visible to the left, but this shot shows the brick facade prior to painting. 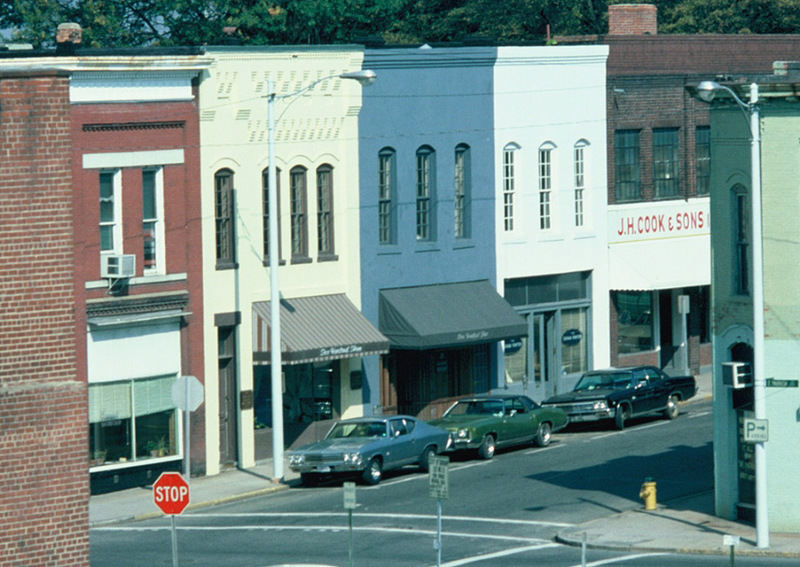 1970s - 203 N Church is the yellow structure with the detailed cornice. 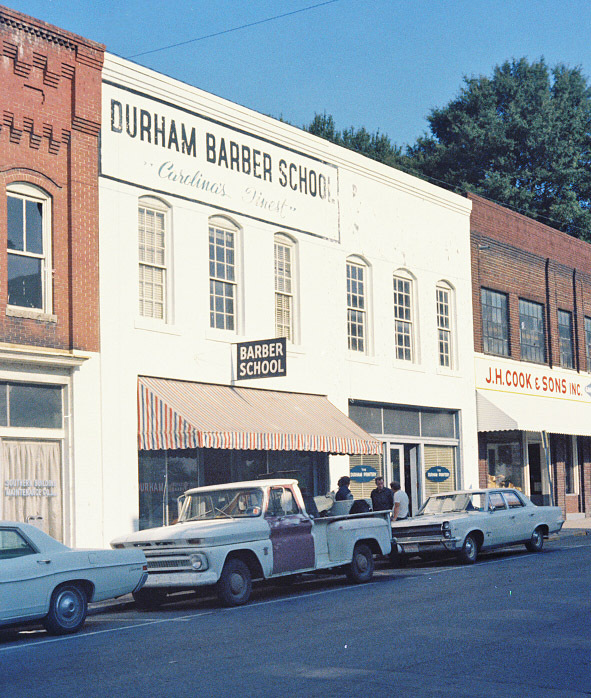 The row of buildings in the early 1970s. The 200 block of North Church St., 2007. These buildings are a great cluster of contiguous historic structures - they are just too isolated with the desolate landscape to the east and southeast. Some great renovation has happened here over the past few years, though - notably at 209-211, at the north end of the block - a really impressive interior re-do.